Explanation: The sprawling Caloris basin on Mercury is one of the solar system's largest impact basins. Created during the early history of the solar system by the impact of a large asteroid-sized body, the basin spans about 1,500 kilometers and is seen in yellowish hues in this enhanced color mosaic. The image data is from the January 14th flyby of the MESSENGER spacecraft, captured with the MDIS instrument. 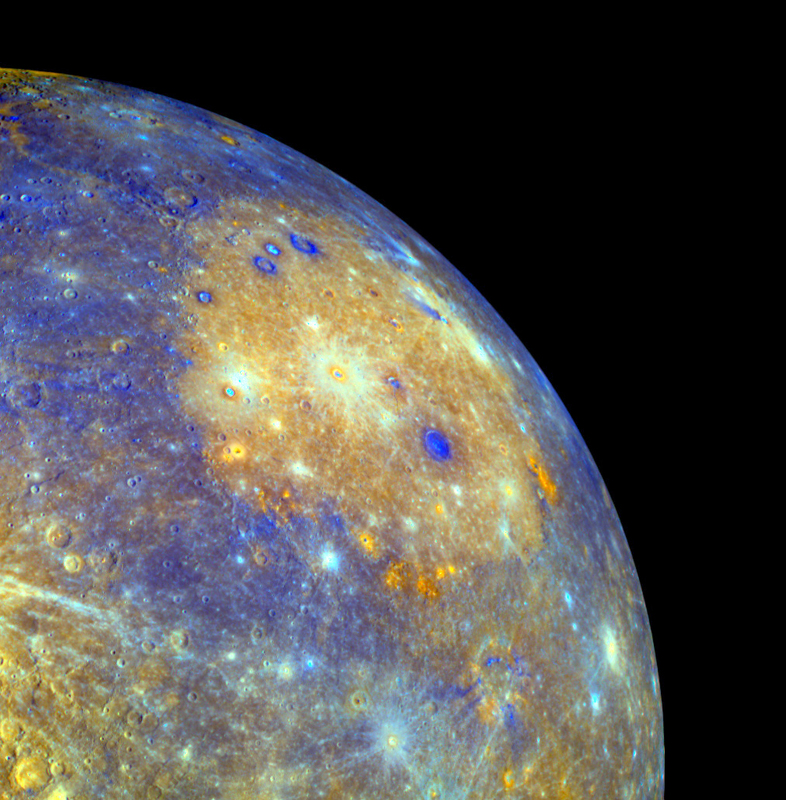 Orange splotches around the basin's perimeter are now thought to be volcanic vents, new evidence that Mercury's smooth plains are indeed lava flows. Other discoveries at Mercury by NASA's MESSENGER mission include evidence that Mercury, like planet Earth, has a global magnetic field generated by a dynamo process in its large core, and that Mercury's surface has contracted significantly as its core cooled.